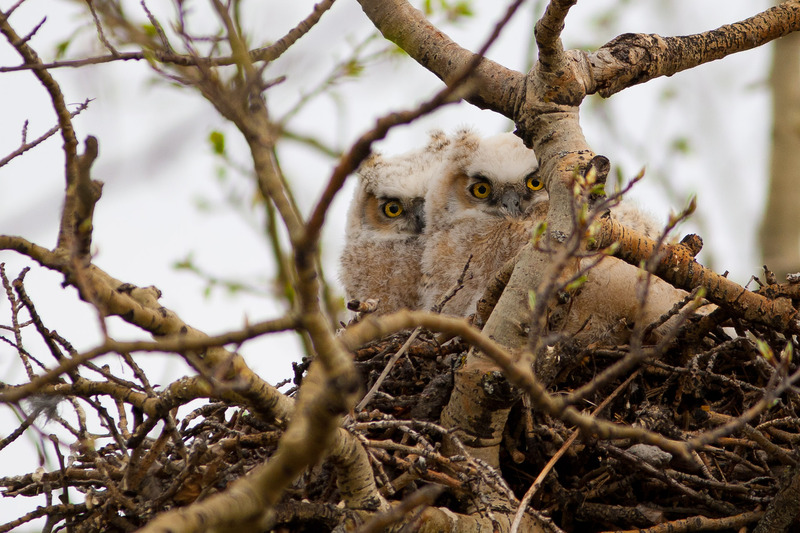 Yesterday, while driving along the backroads between Bragg Creek and Cochrane, my wife and I noticed two fluffy balls popping up from a huge nest that I thought was still abandoned. 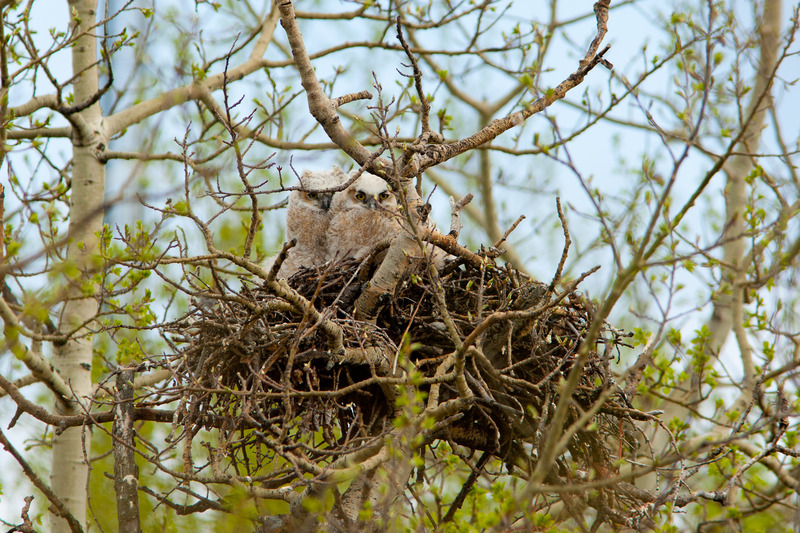 We could see from the edge of the road that they were Great Horned Owl (Bubo virginianus) owlets so we waited a few minutes to get a sense of that stand of trees and whether the parents were nearby. I walked to the fence dividing the ditch from the forest and with a long lens coupled to an extender was able to get some nice images without getting these adolescents worked up. This entry was posted on May 23, 2011 by Christopher Martin. 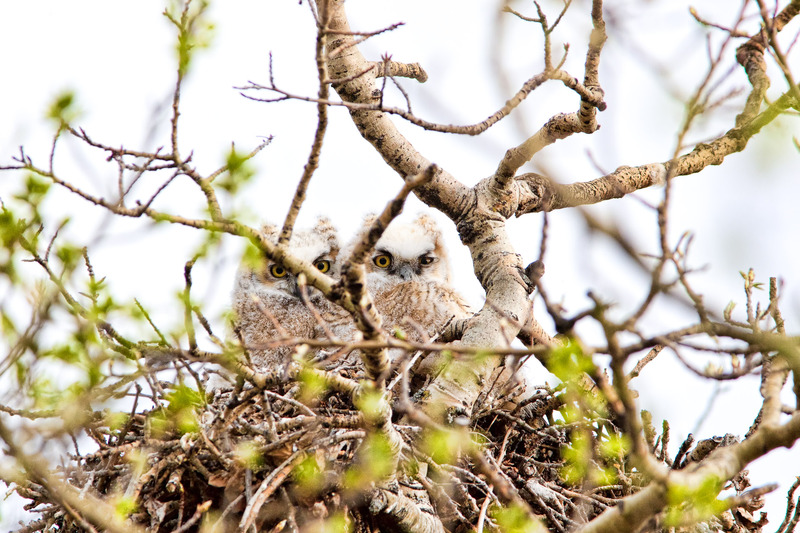 It was filed under Animals, Birds, Nature, Spring and was tagged with animals, avian, babies, baby, birds, Bubo virginianus, chicks, cute, eyes, fledgling, forest, Great Horned Owl, nest, owl, owlet, photography, raptor, spring, watching, wildlife photography. So cute! I love them! Beautifully photographed, Chris!